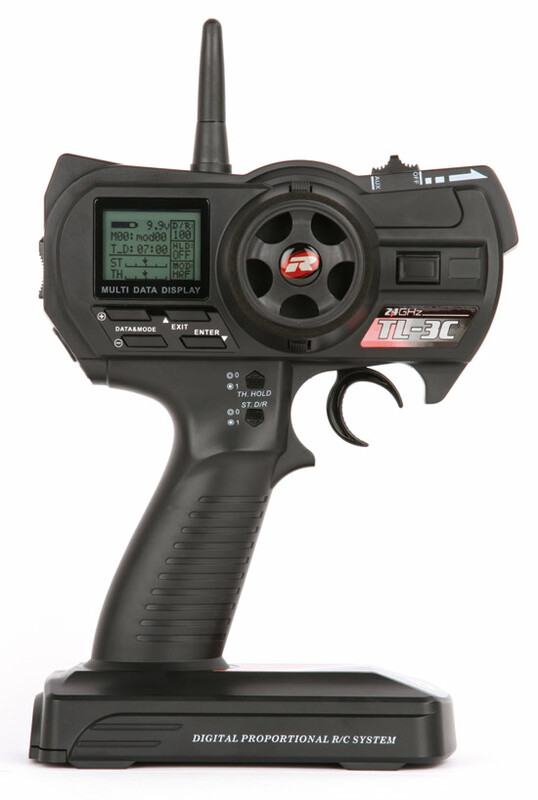 Robitronic presents an outstanding 2.4 GHZ radio system for R/C car owners. It is ergonomically designed and has easy adjustable digital menus on a LCD monitor. Many features on this radio are only found in more expensive models. This radio can be setup for 16 different vehicles.